Yoga for a great cause! 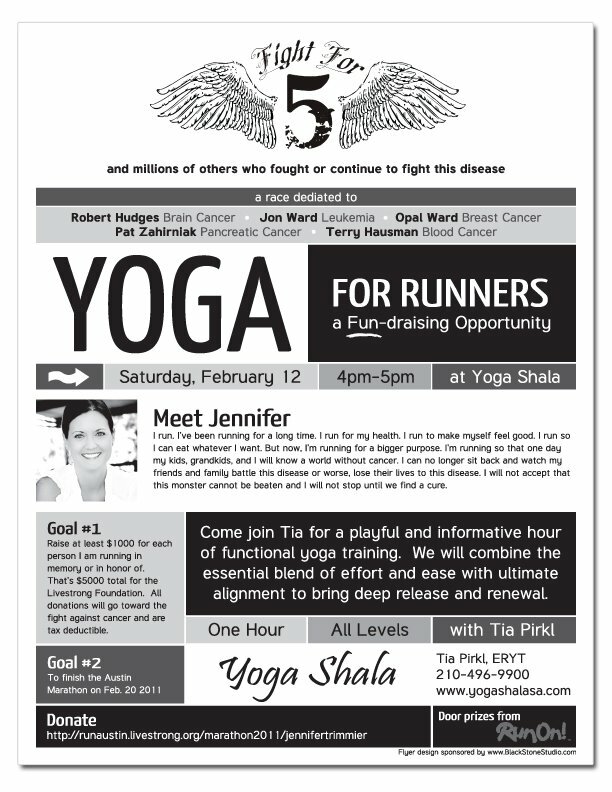 The first community involvement project of this year was a flyer design to promote a yoga class in support of my friend (and client), Jennifer Trimmier. She had been training for months to do the Livestrong Marathon in Austin, which took place this Sunday, February 20th. Her goal was not only to finish her first full marathon (which she did! ), but also to raise money for the Livestrong and Lance Armstrong Foundation in honor and in memory of loved ones that were battling cancer. Tia Pirkl, yoga instructor for Yoga Shala, offered to do a free class in hopes that everyone who came donated to Jennifer’s cause. The flyer design that BlackStone Studio donated was to promote this event and Jennifer’s efforts for a good cause. The yoga class was so successful! 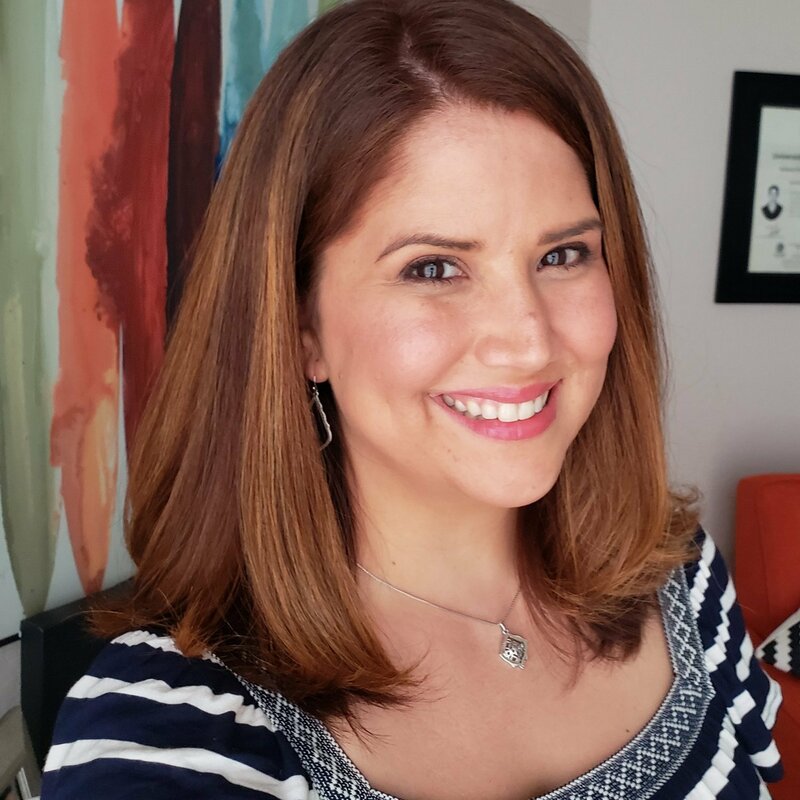 With over 30 people taking the class, the room was completely filled up and Jennifer was able to raise over $1,000, which one of the yoga students matched!!! So, a BIG thanks to Bill Melson. He not only matched the donations, but also contributed two Spurs tickets for door prizes. I not only designed the flyer, but I also went to the class (and took my husband with me). We both did yoga for the very first time ever! In all honesty, I underestimated yoga… the next day all my muscles were sore! It was worth it though, if not for the physical benefits, to support an amazing friend! Jennifer completed the Marathon this past Sunday and raised a total of $5,995.